Alexandra Dean's documentary, airing this week on PBS, paints Lamarr's complex life away from the screen. It’s not that Alexandra Dean’s documentary “Bombshell: The Hedy Lamarr Story” starts off with a montage of individuals attesting to the legendary actress’ on-screen allure. It’s how quickly the film moves past that to a more profound understanding of the woman behind the face. “Bombshell,” which airs this week as part of PBS’ American Masters series, is a biography of a classic film star that doesn’t need to do much to bolster Lamarr’s bona fides as someone who captivated the moviegoing public’s attention. But even if Lamarr (born Hedwig Kiesler in 1914 Austria) is best known for her roles, she left behind a legacy that extends far beyond her filmography. It’s a testament to both Lamarr’s life and Dean’s crafting of the film that the interview subjects for this doc extend into a variety of fields. There are film historians, family members, friends (among them, the late Robert Osborne), and the man who becomes a kind of unofficial narrator of the film, Pulitzer Prize-winning author Richard Rhodes. Together, these interviews describe a woman who was different things to different people, while somehow maintaining a certain pull over everyone she met. The various skills that she had, either as a performer or as a innovator, bypassed those arbitrary lines between science and art. Some people talk about her various inventions, while those who are historians by trade can appreciate the value she brought to the entertainment world. Even before it shows how she made her big American film splash in 1938’s “Algiers,” “Bombshell” details how Lamarr was viewed and treated as a commodity in different areas of her life. (Her own stage name was a whimsical product of someone else’s offhand recognition.) But the film also gives voice to the idea that she was able to push back against those pressures in her own way. Slyly asserting her own form of freedom even within the confines of restrictive marriages and studio employment, “Bombshell” posits that Lamarr was ahead of her time in the ways she sought to exert her star power in places outside a Hedda Hopper column. For someone who’s put forth at the film’s outset as a paragon of glamour, there’s something intriguing about the way “Bombshell” doesn’t dwell on certain things any more than Lamarr herself would have. The idea that JFK once asked her out or that she had these frequent brushes with a surreal kind of stardom is not the main thing the film dwells on. What takes more focus is Lamarr’s dogged pursuit to contribute something to the world that wasn’t connected to her likeness. “Bombshell” paints a picture of a person who was trying to live her life in a way that best took advantage of the things that she wanted to be known for. Though Dean’s film doesn’t solely stick to her off-screen achievements, it’s able to take some cues directly from what little we have of Lamarr’s version of her own story. While the film salutes her achievements from within and outside the film industry, this is not a piece of blind adulation. At various points, even family members concede that she was occasionally not the easiest person to deal with. And although the film doesn’t underline it, it does hint that her unwillingness to face certain parts of the business side of her career helped make the circumstances surrounding her eventual tumultuous autobiography become more of a problem than an asset. A major part of the film becomes the question of ownership over the concept of “frequency-hopping” that she was instrumental in developing. A technology that Lamarr and an unlikely collaborator developed during World War II, this method for bypassing jammed frequencies could be seen as the basis for a number of technologies the average American takes for granted on a daily basis. Even though the film also highlights individuals who believed that she was given undue credit for this invention, it also shows how many in her day sought to prevent that from happening in the first place. Though the film arrives at a solid conclusion about what part she played, there’s a tiny bit of tragedy in knowing that any level of acknowledgment came far after she could properly appreciate it. “Bombshell” is no stranger to hardship. It’s not easy to create a film around someone so defined in life by their appearance, haunted by it so much that Osborne explains that “the only thing that would have solved the problem is if she’d died young.” But still, this film manages to celebrate the spirit that stood in opposition to limit her to what she looked like on a poster. It’s a reminder that, even for world-famous icons, it’s pointless to reduce people to a single piece of notoriety. 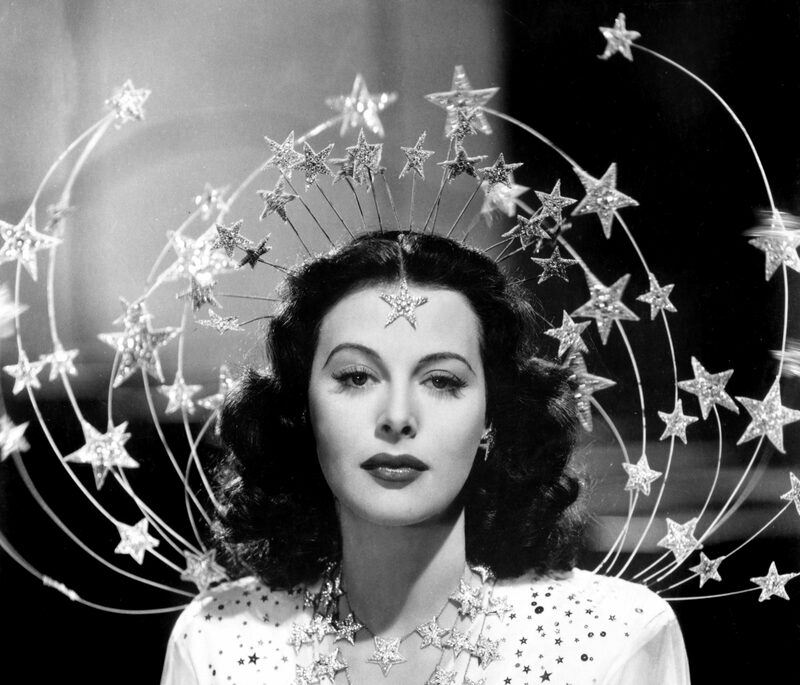 “Bombshell: The Hedy Lamarr Story” debuts on PBS on Friday, May 18 at 9:00 p.m.